*Not Valid with other offers. Not valid for persons of the same households. Make an appointment at Complete Automotive, and you’ll learn why Pontiac owners throughout the Springfield region wouldn’t think of trusting their vehicles to any other auto mechanics. Not only are we versed in the all the newest diagnostic and auto repair techniques, but our staff is known far and wide for its attention to detail and excellent customer service. In fact, when you visit Complete Automotive for the first time, you’ll leave a valued friend. We love taking care of people and work hard to make sure that everything on your Pontiac is performing correctly. 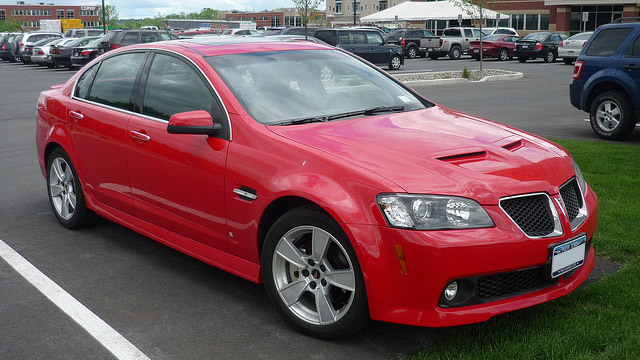 Does your Pontiac have a mechanical or electrical issue that no one has been able to sort out? Bring it to Complete Automotive. Our auto mechanics have earned a reputation as the ones who can quickly identify and economically remedy those hard-to-figure-out problems. And you’ll feel confident, knowing that the repairs to your Pontiac are covered by an air-tight 3-year/36,000-mile nationwide warranty through the Certified Auto Repair Group. ● Free shuttle service, or we’ll call you a cab as needed. ● A comfortable waiting area with free beverages and WiFi. ● An art gallery featuring local artists. ● Actively involved in many community outreach events. Contact Complete Automotive, and let our auto mechanics diagnose your Pontiac today. Simply schedule an appointment online​​ or just stop by our shop at 2238 E. Chestnut Expy. in Springfield, MO 65802. When it comes to all your Pontiac’s auto repair needs, trust the experts at Complete Automotive.